Jamaica has a fascinating and diverse range of attractions. Kingston, the chaotic capital city, fronts the world's seventh largest natural harbour. 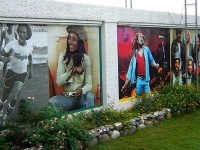 Visitors can take in the sights of Spanish Town or visit the former home of Bob Marley. Across the bay lies Port Royal, a notorious pirate haven from the 17th century, once renowned as the 'richest and wickedest city in the world'. Boat trips to the coral reefs at Lime Cay leave from the port. Adventurous souls can also take a predawn hike up Blue Mountain for an unmissable sunrise. Montego Bay is home to the clear turquoise waters of Doctor's Cove Beach. Visitors here can experience a true taste of local culture in the busy, noisy bustle of downtown life. Further east lies Ocho Rios, where Ian Fleming wrote his James Bond novels. This popular destination for cruise ships also lies close to Dolphin Cove, the incredible Dunn's River Falls, and the Green Grotto Caves. Tucked away on the east of the island is Port Antonio, the secluded retreat of the rich and famous. Navy Island boasts gold sands and its very own rainforest, while fans of the movie Blue Lagoon will find the actual site near Port Antonio. To the west lies the beautiful town of Negril, with its famous Seven Mile Beach stretching up the coast. Perched up on the cliffs is Ricks Cafe, one of the top bars in the world, serving great food, rum cocktails and a truly homegrown reggae vibe.